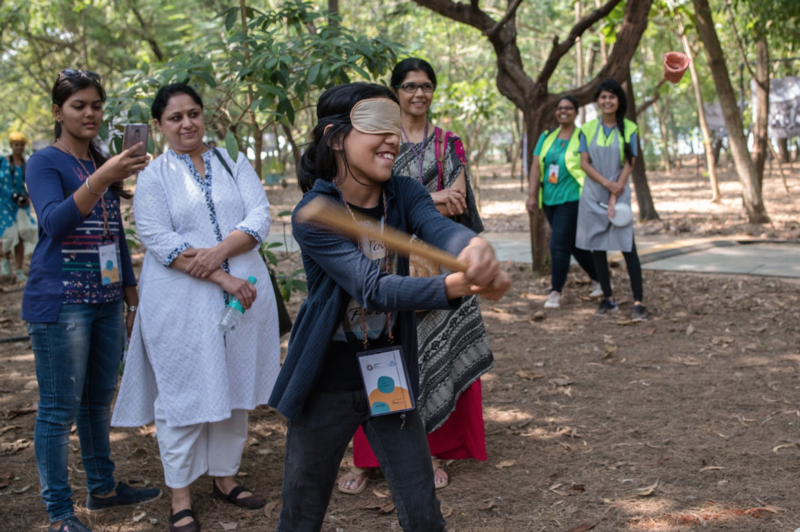 In December of last year, the Center visited Goa, India to participate in Serendipity Festival. 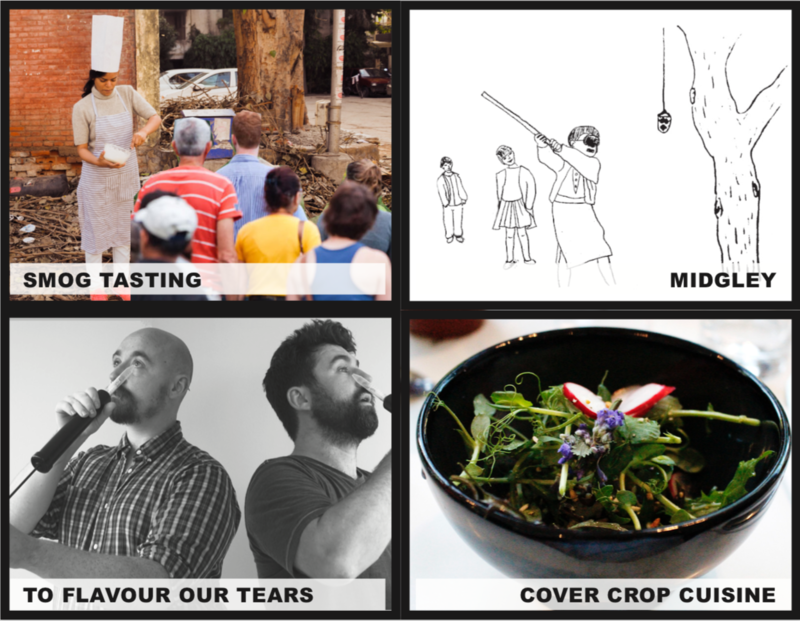 We ran two projects during the festival: the BTBS brinjal food cart and a walking tour called Planetary Sculpture Picnic. 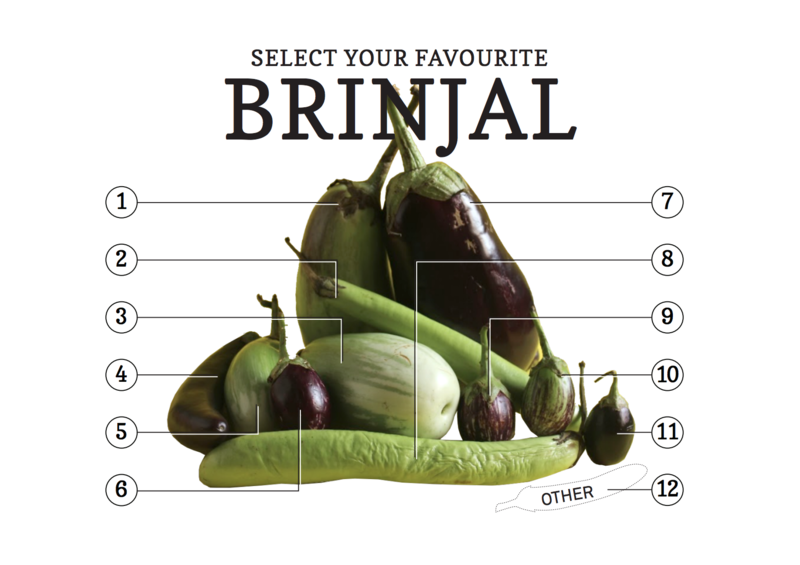 The name BTBS doubles as the acronym for “Brinjal Taste-test & Brinjal Seed-save”, as well as a reference to BT Brinjal (a transgenic suite of brinjals) and the negative public opinion around the release of these GM varieties. 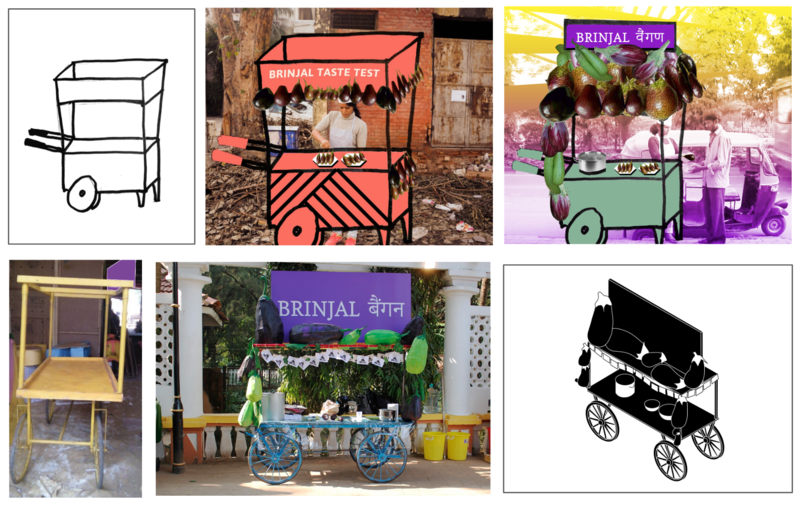 Leading up to the festival, The Center designed a cart that could function as a station for taste-tests, seed-saving, and recipe exchange, specifically to celebrate the diversity of brinjal that exists in India. 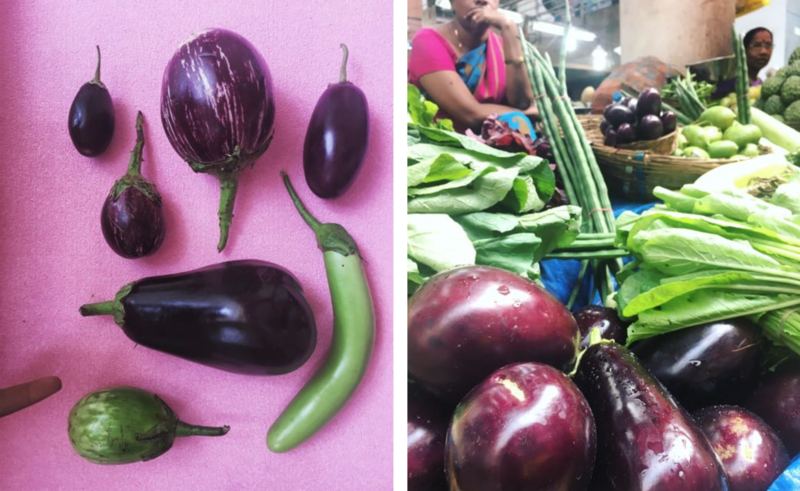 In Goa we visited local markets to collect as many varieties of brinjal as we could find. 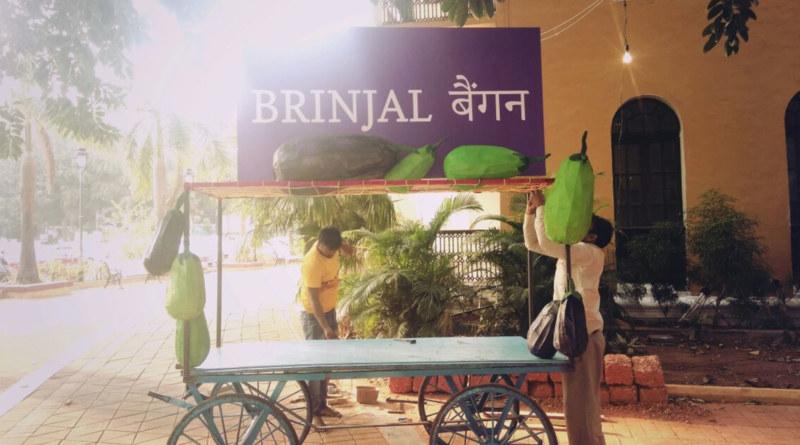 At the cart, visitors could learn to save brinjal seeds by extracting, washing, sieving, and drying seeds from the brinjals we had collected. 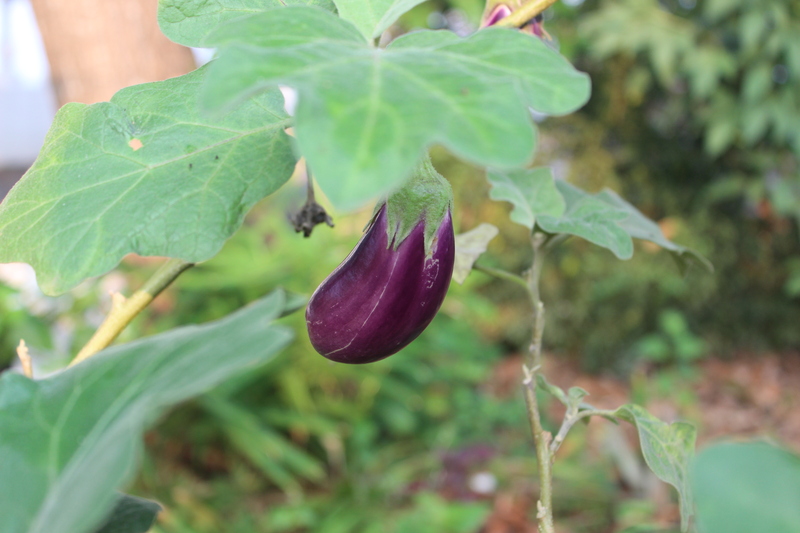 The most committed visitors took home seeds to try and grow their own brinjal plants. 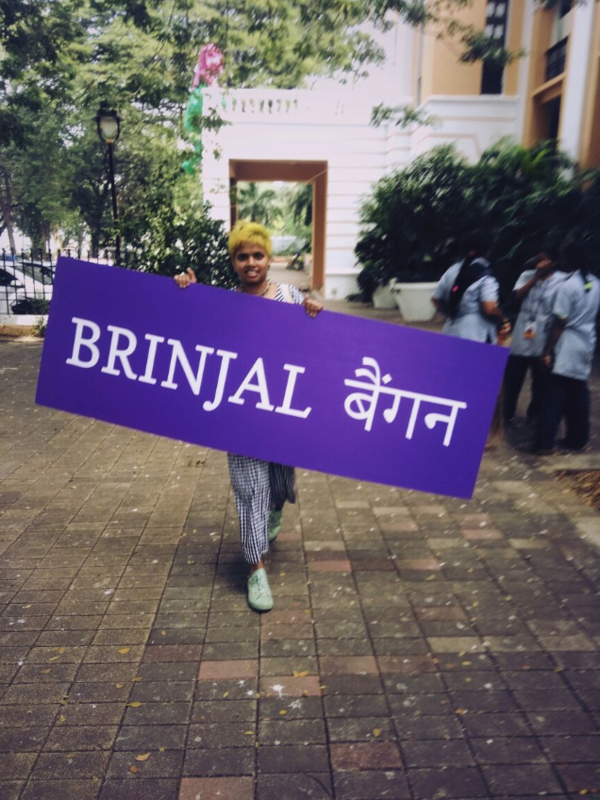 Our brinjal collection increased on Day 2 of the festival, when one of our collaborators in Goa brought us a brinjal from her yard (seen below) and two visitors to the festival brought us a unique white variety from their garden. 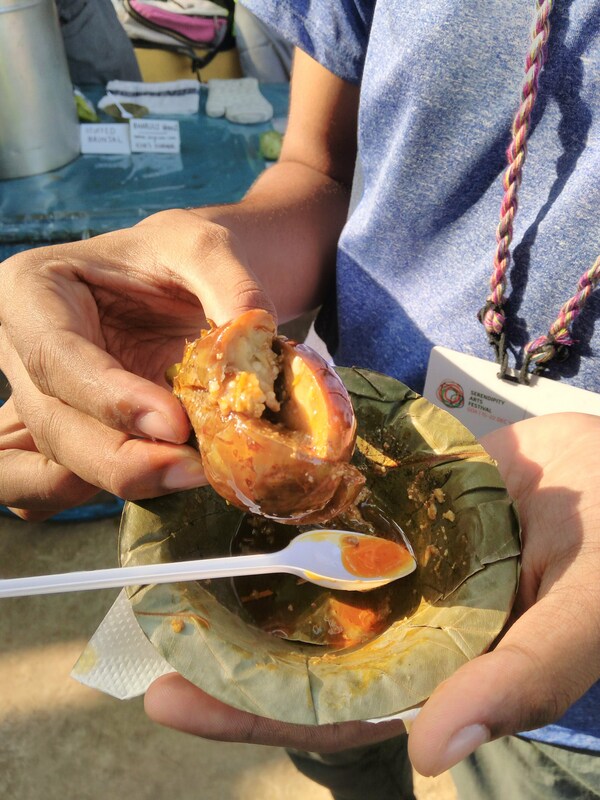 Each day, the cart served a free small brinjal dish made by local cooks. 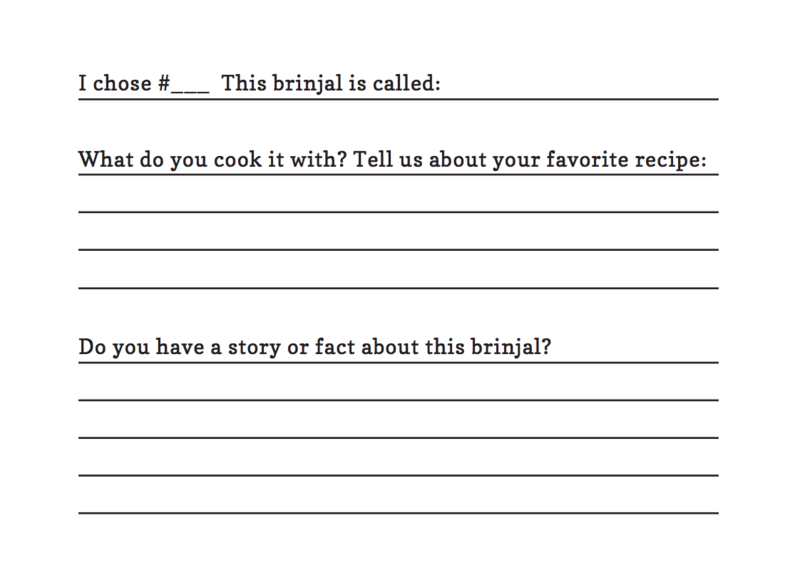 Visitors could also leave behind a Brinjal postcard, contributing their own recipe or story about their favorite brinjal. PSP was a walking tour with four stops and a few snacks and stories from the past, present, and future. Planetary Sculpture refers to the different ways in which humans sculpt the planet through food choices. 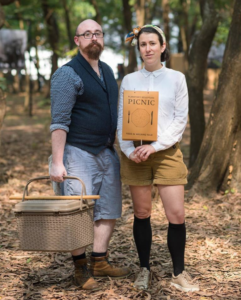 PSP was a tour that focused on concepts and flavours for eating in a new way, one which not only minimizes our impact on the planet, but actively attempts to heal it. The tour took place in Children’s Park, Goa. At this stop, entitled Smog Tasting, visitors tasted the air pollution in Goa through tiny meringue cookies which had been whipped with air from the nearby street. 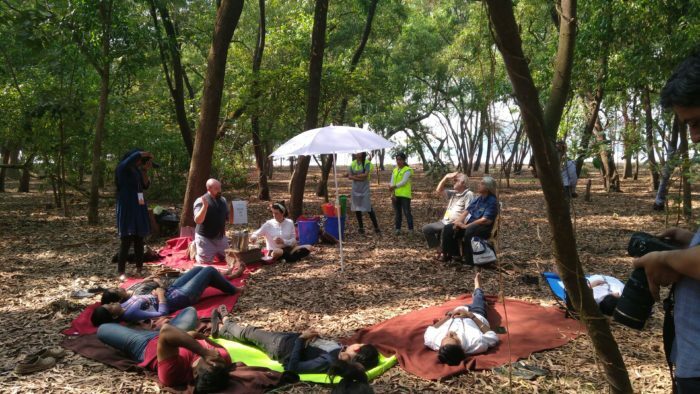 After tasting the smog cookies, visitors mapped out their perceptions of high and low smog areas in Goa. 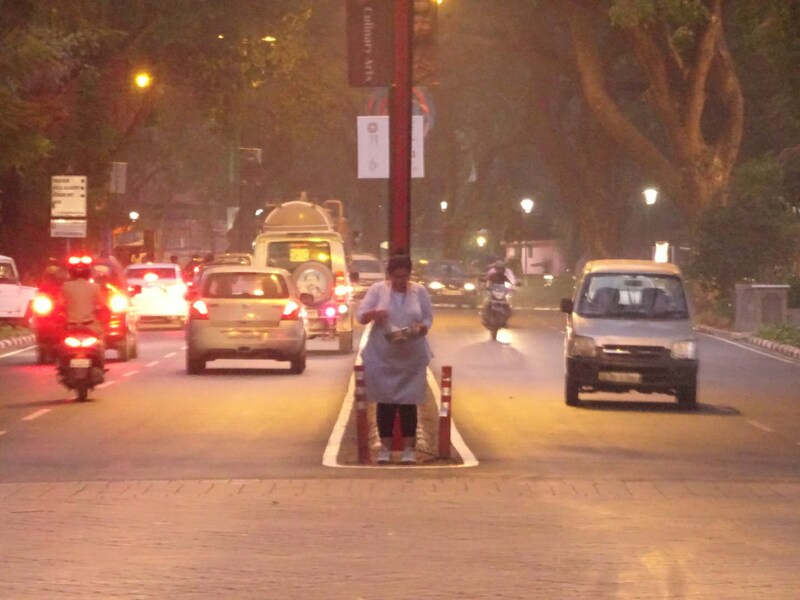 (Above) Elizabeth whipping meringue cookies on a busy street in Panaji the night before the first PSP tour. At this stop, entitled Midgley Celebration, we imagined a future ritual based on a villain from the past: the one human responsible for the most atmospheric damage to earth. Tour-goers gathered around a “Midgpin tree” in the park to enact a future Earth Day “Midgpin” smashing. A clay piñata in the likeness of Thomas Midgley Junior hung from the tree and one visitor was given the job of smashing the piñata. The Midgpin was filled seeds for bioremediation, carbon sequestration, or seeds for plants that can withstand harsh environments due to climate change. Midgley was responsible for inventing leaded petrol and Freon, which have caused great damage to the earth and atmosphere. The seeds released from the Midgpin are resilient. They replenish, restore, and revitalise. After the smashing, two tour-goers were asked to bring the ritual to a close by spreading a bag of soil over the fallen seeds. Next we walked further into the park where we spread out blankets and took a seat. This third stop on the tour was called, Cover Crop Cuisine. Here we discussed and tasted the “noneconomic” plants that are grown to suppress weeds, fix nitrogen, control pest and diseases and replenish the soil. Each visitor was offered a Cover Crop Cuisine taster: Cover crop crackers with cowpea and mustard greens hummus, miso pickled mustard seeds and honey roasted cowpeas. 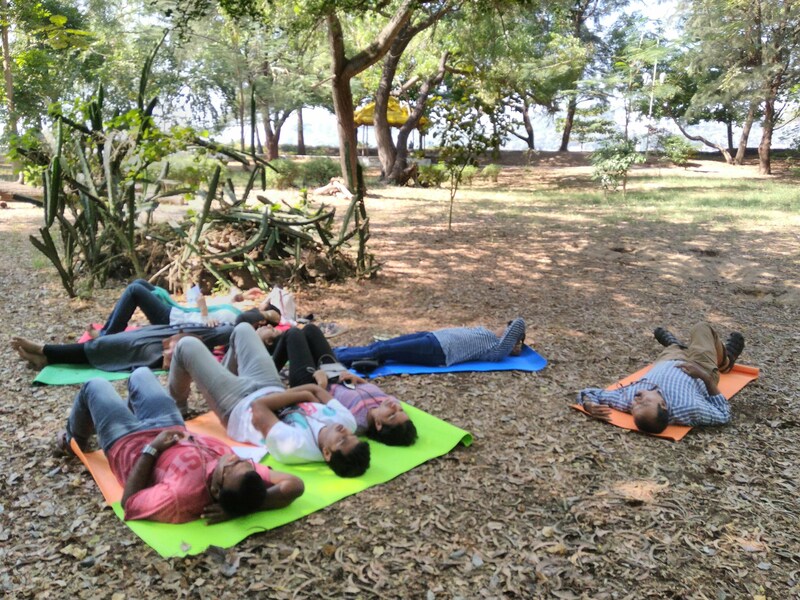 Finally, for the last stop on the tour, our visitors were asked to lie down and look up at the sky. 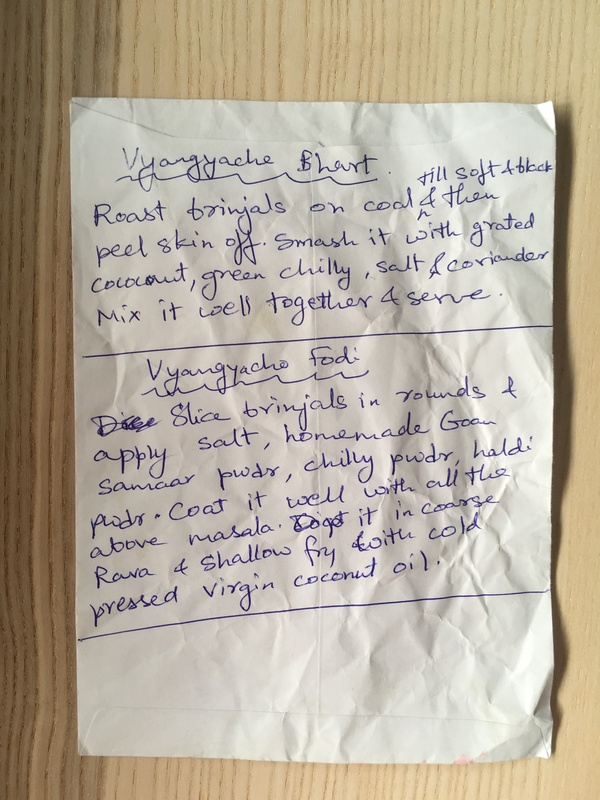 This story was called To Flavour Our Tears and focused on humans as food source for other organisms: the skin we shed, the waste we produce, even our meat and blood and bone will all be consumed in due course. But what do we taste like to our consumers? Is there a way for us to modify our flavour to please our parasites and saprophytes? Tour-goers then closed their eyes and tapped lightly on their eyelids as they imagined a specific kind of tear-drinking month coming to feast on their tears. As they did this we read aloud a passage from a scientist in Thailand who was studying these months. In the passage, the scientist recalls his first-hand account of feeding his own tears to wild moths in the moonlight. Finally, visitors were offered a tea and time for discussion as they reflected on the tour experience and imagined additional ways of healing the earth through new or alternative (agri)cultural practices. Thank you to curator Manu Chandra and Serendipity for inviting us to participate in the festival. 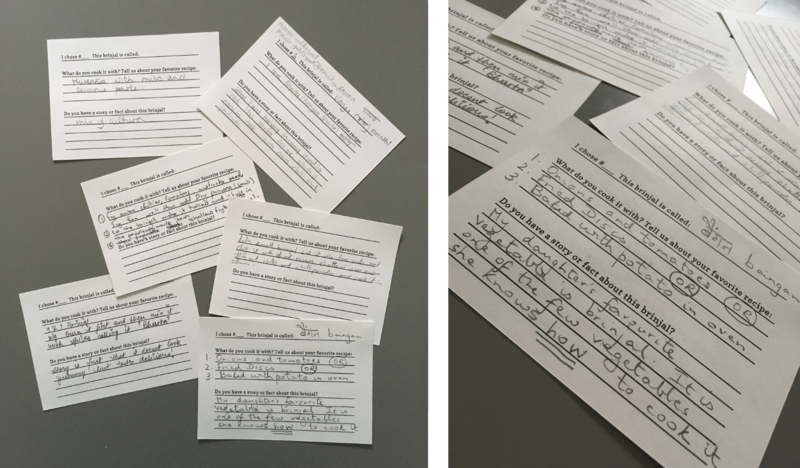 And a huge thank you to Koshy Brahmatmaj, Elizabeth Yorke, and our Serendipity Volunteers for bringing these projects to life.